人生で最も大切な技術「幸福の探求」その13。「愛と思いやりの瞑想」が、あなたの苦しみを幸福に変える。 Life’s most important skill ”Happiness” No.13――”Meditation on love and compassion” turns your suffering into happiness. in English and in Japanese. lightly gazing in the space in front of you, and breathe naturally. your mind and remain in it for a while. act as an antidote to depression and envy. all-encompassing feeling of altruistic love. 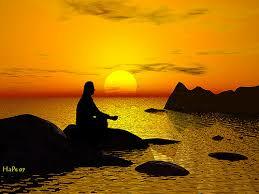 At the end of your meditation, ponder awhile the interdependence of all things. all the good you have accrued from your meditation.